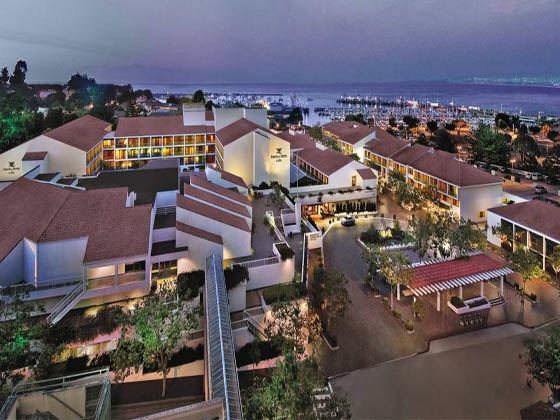 Portola Hotel & Spa at Monterey Bay is a relaxing waterfront retreat in a great location surrounded by boutique shops, great bars and a wide variety of restaurants. There's easy access to a lovely walking path by the side of the beach which in ten minutes will bring you to Canary Row, a charming historic street where you will find quirky shops and eateries. There's also a well-recommended bar and restaurant in the hotel, where you can enjoy breakfast at the beginning of the day and a nightcap after your days activities. The hotel was refurbished in 2017, and there are 379 nautically inspired guest rooms, with personal touches and organic green bath amenities. Some rooms have patio or balcony, others feature bay and harbour views. 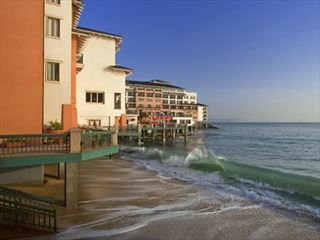 This is a lovely waterfront hotel, overlooking bustling Monterey Bay. There are plenty of fantastic shops, restaurants and walking trails nearby. There are two restaurants to choose from; Jack Monterey and Peter B's Brewpub, Monterey's first and only craft brewery. Why book with American Sky? 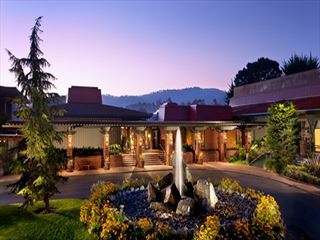 The Hyatt Regency Monterey Hotel is set in 22 acres of Monterey Pines on the Central California Coast. There is a championship golf course, swimming pool & hot tubs, restaurant & bar, plus great selection of guestrooms and suites. 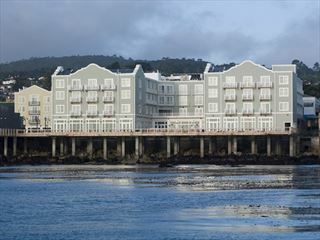 Located on beautiful Monterey Bay, InterContinental The Clement Monterey is a contemporary, luxury hotel and spa resort with magnificent ocean views, stylish ambiance and cutting-edge facilities.